Фотобанк Rusmediabank – лицензионные Фото, Видео, Музыка - White waves - Seamless pattern on blue background. Vector illustration, eps10. Use for nautical style, travel design and different types of water sports, fabric, packaging, wrappers, wallpaper, shirt. 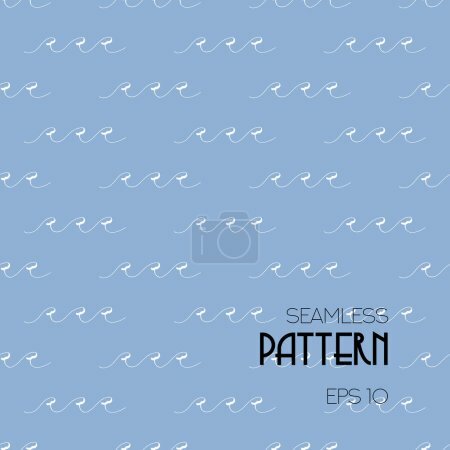 White waves - Seamless pattern on blue background. Vector illustration, eps10. Use for nautical style, travel design and different types of water sports, fabric, packaging, wrappers, wallpaper, shirt.